Trip Packet: Click here to view the Half Day Limestone trip packet. 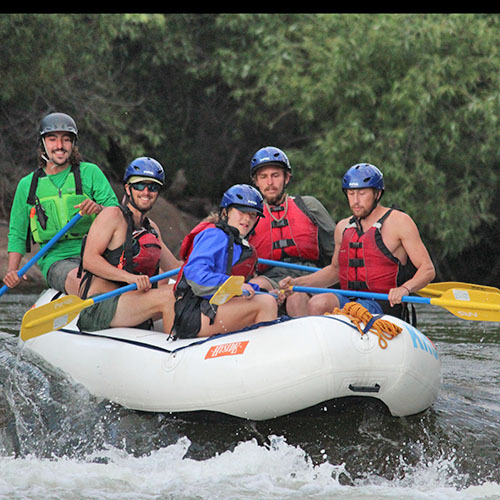 Approximately 6 miles of rafting. Each raft fits 3 – 4 people plus a guide. For 2018, our Half Day Adventure will be running the Class II, III and IV Limestone section twice over. 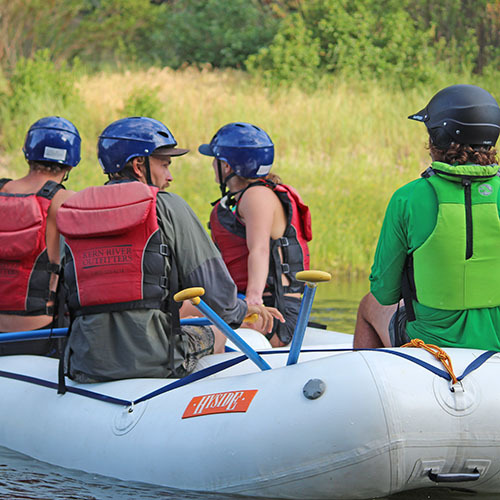 Operating in smaller rafts means that the waves are splashier, drops are steeper, and overall experience is greater compared to what a larger raft would offer. 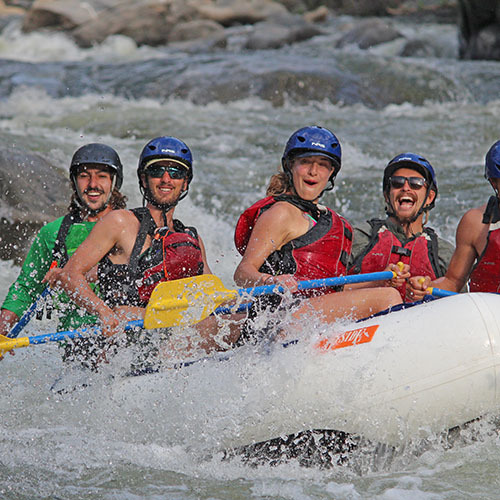 This trip meets at 12:30PM and gets back to our Rafting Center around 5PM. 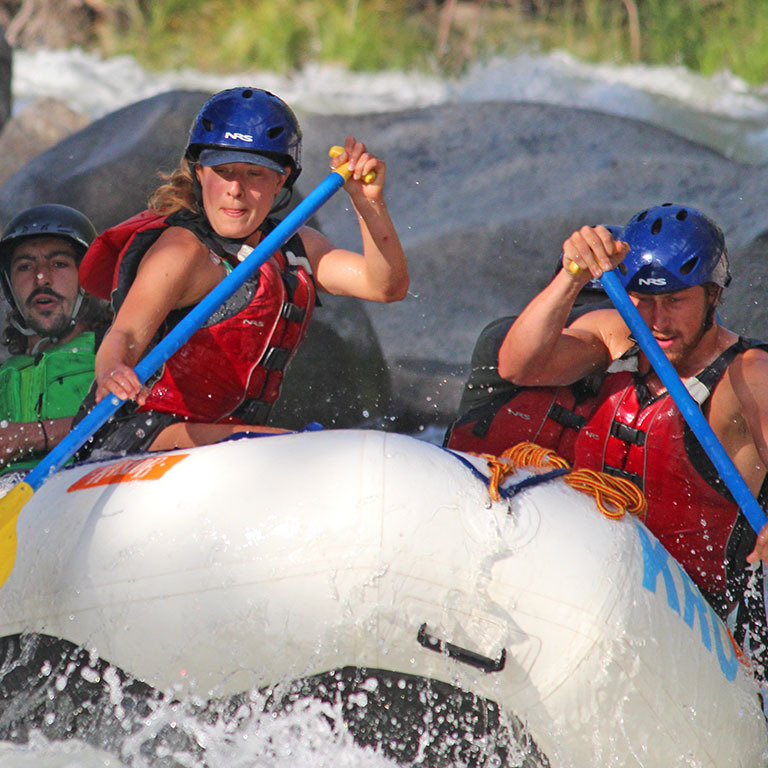 This trip covers six miles of rafting and includes Bridge Rapid, Brush Creek Rapid, Limestone, Joe’s Diner and Betty’s Bakery. 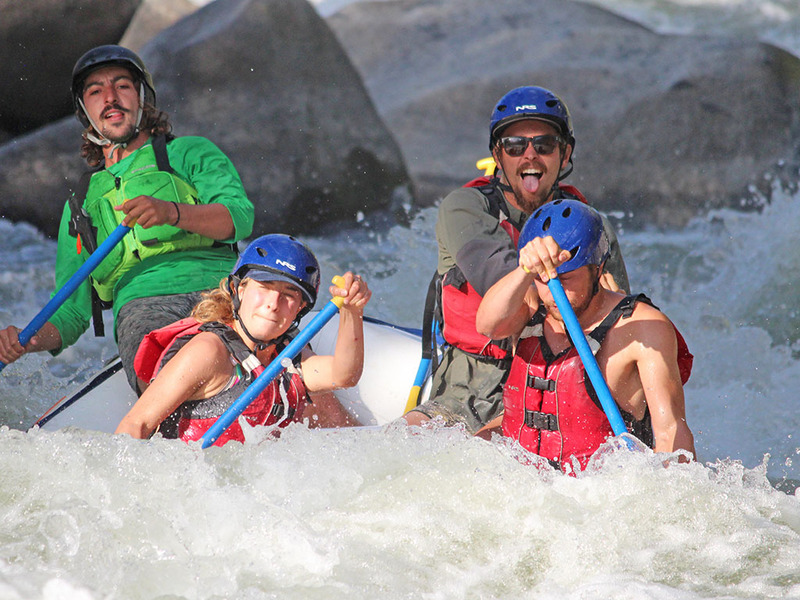 Trip Considerations: On our other rafting trips we fit 4 – 6 people per raft. With these smaller boats, we can fit 3 to 4 (plus a guide) per raft. Two items to keep in mind is we need to keep the total guest weight under 600 pounds and individual weight should remain under 225 pounds / person. This means by default we are taking a minimum reservation party size of 3. If you would like to add an additional person to your raft, please call or email us. We can fit 3 – 4 (plus a guide) in each raft. 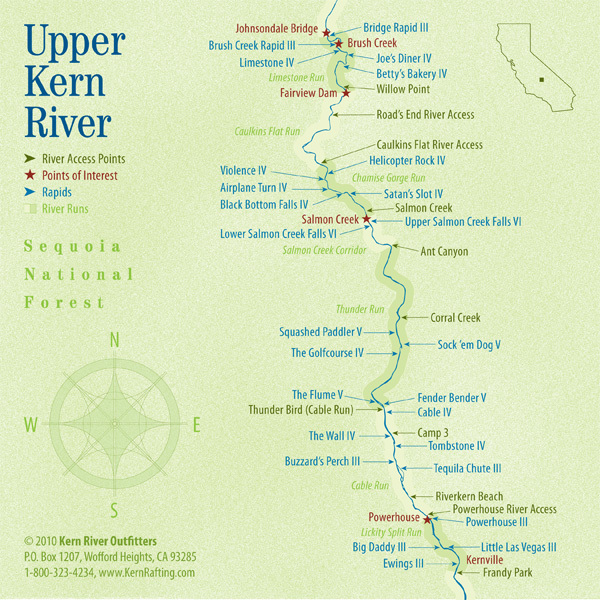 How long will this extend the Upper Kern season? We expect this to extend our Upper Kern season by a few weeks and possibly up to a month. Are these rafts available on your other trips? It’s up for consideration on a trip by trip basis. Please call us if you’re interested.